Replacement battery for the SPECTRAN spectrum analyzers. 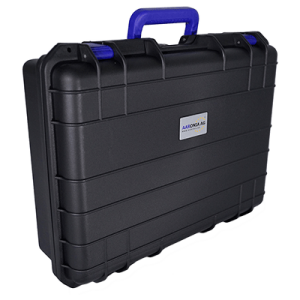 Fits any SPECTRAN Handheld spectrum analyzer of the series V1 - V4 and NF. Offers a MUCH higher runtime of the SPECTRAN (up to 400%). Strongly recommended for autonomic measurement! The 1300mAh standard-battery will be replaced. Our special Active Differential Probe ADP1 offers a potential free measurement and also expands the measurement range up to 240V. With this probe the signal will not be influenced (potential free measurement). It also protects the SPECTRAN Spectrum Analyzer input against high voltages up to 1400V (CAT3). 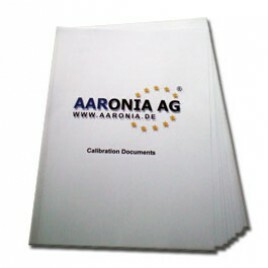 It's a "must have" for direct cable-measurements on DSL, ADSL, VDSL, free running oszillators, mains etc. 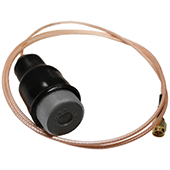 Included in delivery is a special grounding kit which protects the unit against static electricity (ESD). This is very important at long time measurements. Power supply is possible with the internal cells (4 x AA, not included) or, at long time measurements, with a mains adapter (included). 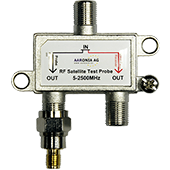 The RF Satellite test probe allows direct measurement at the LNB output or at the satellite receiver. 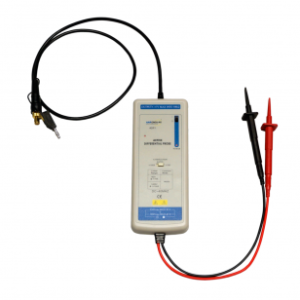 The measurement can be performed with simultaneous use of the connection, the probe offers two separate signal outputs for the connected spectrum analyzer as well as the receiver. 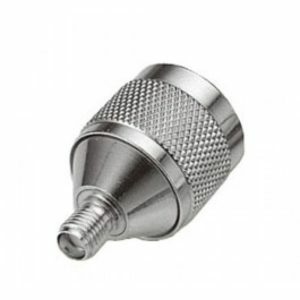 This allows a signal evaluation and recording during normal operation. 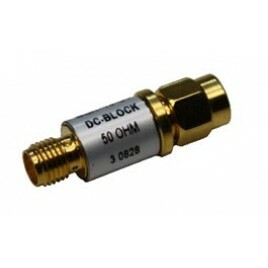 The built-in DC blocker suppresses DC voltage which would be dangerous for connected Spectrum Analyzers. 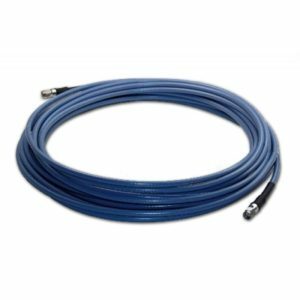 The package includes the necessary cables (SMA to F adapter, 0.3m SMA cable, 1.5m F cable) for direct connection of the measuring device and the receiver. The highly sensitive vibration sensors of our GEO series offer a surprisingly high sensitivity over a wide frequency range down to 10Hz. They are especially suitable for detecting vibrations in machines and electronic circuitry or in the working environment, as well as monitoring compliance with (official) exposure limits. Available as: GEO 14 (10Hz - 1KHz), GEO10 (4Hz - 1KHz). 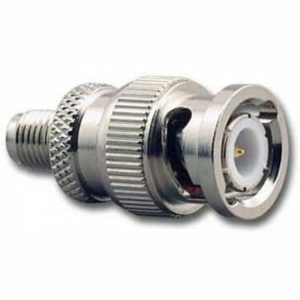 Expands the measurement range from +20dBm to +40dBm. 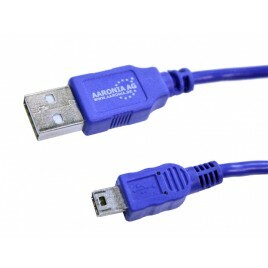 The Aaronia SMA to 2.92mm adapter is suitable for connecting Aaronia PowerLOG 40400 antennas via SMA Cable to a spectrum analyser or other device with regular SMA connectors (or N/BNC via additional adapter). 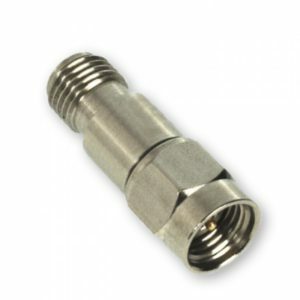 This special high quality adapter allows operation of all Aaronia Antennas with SMA connector with any standard Spectrum Analyzer with BNC connector. Incl. LED. 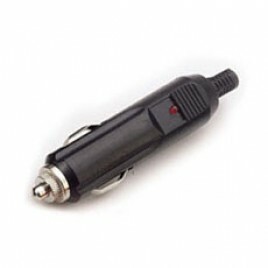 To connect your SPECTRAN to the car cigarette lighter. Perfectly suitable for the everyday use of the V5 in the lab. Supplies Power, USB Slave and Master connection. Heavy and stable. 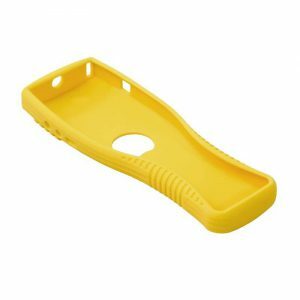 The DC-Blocker must be used if you want to measure active powered antennas like GPS or satellite dishes. It prevents the RF-input of the SPECTRAN from being destroyed by the DC-voltages. Simply connect the DC-Blocker to the RF-input of your SPECTRAN and you can measure directly on GPS, satellite antennas or even DSL/ISDN etc. lines. 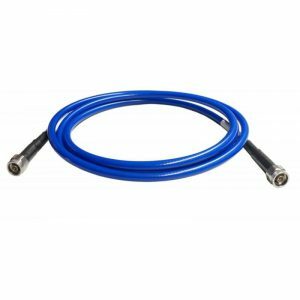 This high-grade SMA cable can be used to connect Aaronia HyperLOG EMC antennas to Aaronia Spectran RF spectrum analysers with very low damping (signal loss). Available in lengths of: 1 Metre, 5 Metres, 10 Metres. 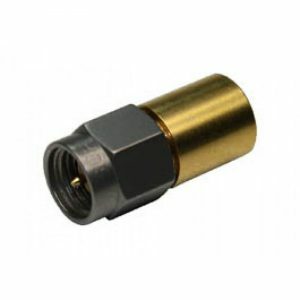 This high-grade, waterproof cable with N-connector can be used to connect Antennas with N connector (e.g. IsoLOG 3D, 3D Mobile or HyperLOG EMI) with Spectrum Analyzers offering an N input (e.g. 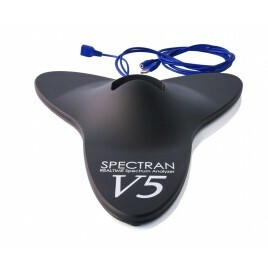 Spectran XFR V5 PRO, Spectran RSA). Available as: 3 Metres, 10 Metres. To connect your SPECTRAN to the PC. Special version with high performance EMC-ferrite. Calibration Certificate for HF and NF Spectrum Analyzer. We recommend to recalibrate the Spectran Analyzers each year. 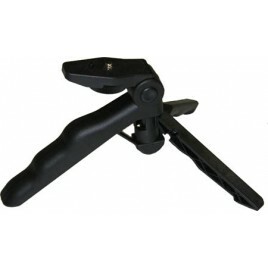 Height adjustable, high stability. STRONGLY recommended for usage with HyperLOG 30xxx, 40xx and BicoLOG antennas! 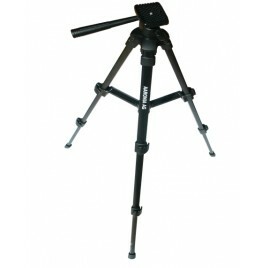 Heavy tripod for Aaronia Magnotracker antennas and Aaronia PowerLOG Sturdy construction with high stability. Provides a stable handling of any Magnotracker and Power antenna, even versions with extended tube expansion (eg, M8, M10 versions with 10 or more elements). Strongly recommended for optimal use of Magnotracker & PowerLOG antennas. 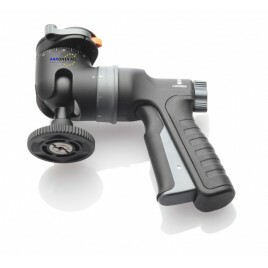 This highly stable multi-function pistol grip offers a variety of functions and should not be missing in any professional measurement! Specifically, it is strongly recommended for the use of larger antennas like the HyperLOG 30xxx and 40xx series. 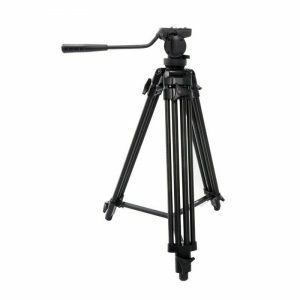 Detachable handle with super-practical miniature tripod mode: this handle is attachable to the backside of the unit and allows optimal handling (esp. 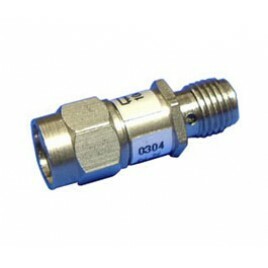 for directional measurement) and even fixed installation of the unit. Protects your unit against shock and looks great! 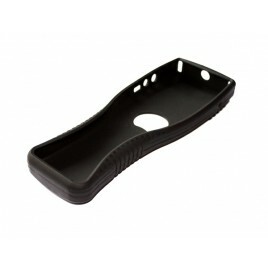 High-End silicone rubber-material. 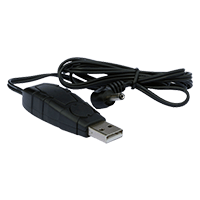 It is a little USB dongle generating 12V from any USB port incl. 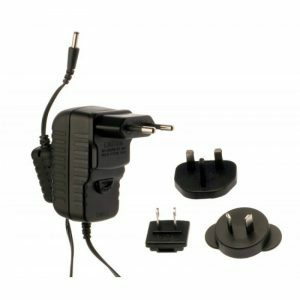 power plug for all SPECTRAN and Aaronia preamps and active antennas. You can use it to CHARGE all of those devices via any USB port, this should help a lot for people making field measurement and running out of power… You can now charge our units via Laptop or USB port within the car. 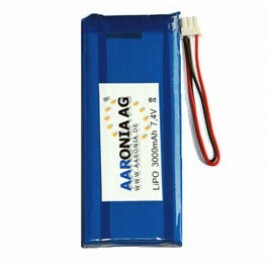 The Aaronia GPS Logger includes six top-of-the-line sensors and is the world's first standalone data-logger with this amount of sensors. 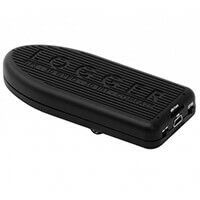 Also mentionable is the extremely high data rate of up to 35 logs per second (freely adjustable), the very small size and the light weight of the logger - it weights barely 88g including the battery.